"I know the moment I stick my head out the door I'll get a bucket of wotsit poured all over me, but I really do feel passionate about this. "I don't want to be in the situation where we pass through this moment of history and I hadn't said anything because that would mean I didn't care about this country. I do. He said leaving the European single market and seeking a free trade agreement, as is Conservative Prime Minister Theresa May's intention, would be "relegating ourselves" from the top order. 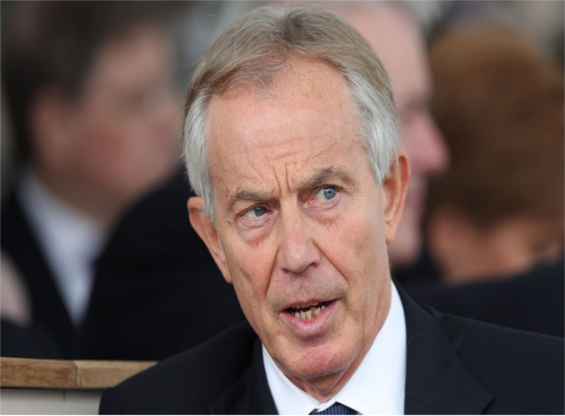 "Unless you are providing answers for the future you are not going to win," Blair warned.